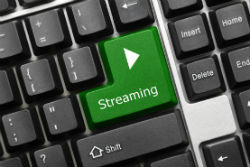 To date, the Malaysian Communica­tions and Multimedia Commission (MCMC) and Domestic Trade and Consumer Affairs Ministry have teamed up to block 246 sites utilized by piracy-configured set-top boxes to stream movies and TV shows to the masses. “Based on the details and complaints from the rights’ owners which were made to the ministry, MCMC facilitated the shutdown,” MCMC Network Security and Enforcement Sector chief officer Zulkarnain Mohd Yasin told The Star. “We are working closely with the ministry and only through their complaints and the details provided to us, such as their domain and URLs, World Wide Web page addre­ss, on the illegal streaming sites, can we act to block the access,” Yasin added.